GE3S: Assisting you in identifying and managing environmental impacts of your projects. GE3S is an environment and sustainability consultancy that has been providing services to integrate sustainability into the strategy and operation of our clients. Our services are focussed on the three pillars of sustainability – Environment, Economy and Society. One of the key services that we provide to help our clients identify and manage the environmental effects of their operations and upcoming projects is EnvironmentalImpact Assessment (EIA). EIA allows the likely significant environmental effects of a project to be identified and to be avoided, remediated or minimised at an early stage. It provides basis for better decision making for the project promoter and government authorities issuing consents for projects. Energy services over the years have experienced a myriad of changes on a whole. If taken into account the scenario few years ago, the only source of energy was coal and other fuels. 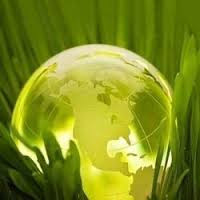 But with the growing concern for betterment for the environment, Green energy services have come to play. The desire to go green plays a prominent role in this scenario. Well it can be said that not just the desire to go green but also the desire of saving money as well as deregulation are the two other considerations playing a vital part here. According to environmental design consultancy, green energy constitutes wind, solar and tidal energy which can be put to multiple uses right from lighting, cooking and all other areas whereby electricity generated from coal and other fuels find application. The efficiency with which Green energy is now transported helps in reducing wastage of energy.